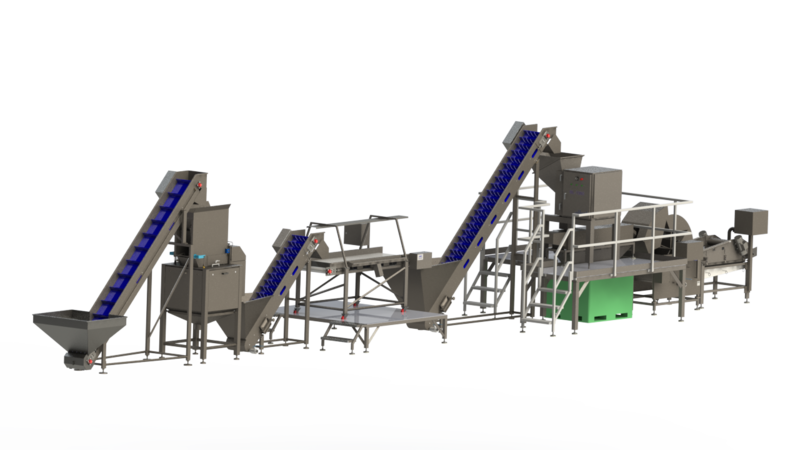 For one of our relations in Central Europe Eillert has designed a complete French fries processing line. With this line approx. 1.000 kg/hour fresh french fries can be processed. 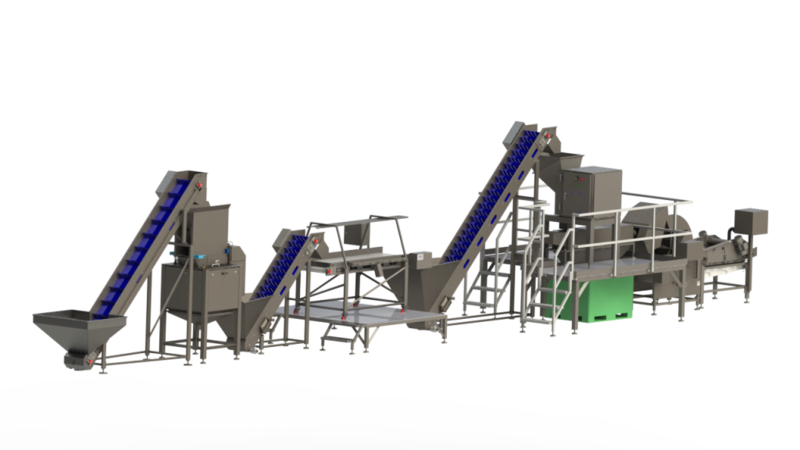 The unpeeled potatoes are fed into the abrasive peeling machine via an elevator conveyor. After the abrasive peeling process the product can be inspected on an inspection table. Via another conveyor the product is brought into our stripping/dicing machine, after which it is treated against discolouring.